Nationwide Auto Transportation is leading the industry by providing you fast, honest and reliable car shipping and car transport services. Our mission is to provide our clients with most competitive San Francisco to New York car shipping quotes as well as the best customer service from start to finish. Whether you are transporting a sedan, classic automobile or a luxury sports car, we offer open and enclosed trailers with rush car transport delivery. Our customers get competitive pricing with 5 star rated service. Your auto transport rates include insurance and no other hidden fees or surcharges. Why do so many customers choose Nationwide Auto Transportation as their auto transport broker to ship cars across the country over other companies? We offer fast pickup & delivery, insurance, door-to-door service, load tracking and money back guaranteed. Nationwide Auto Transportation is committed to providing our San Francisco and New york customers with a excellent experience. Our goal is not simply to meet your expectations but to exceed your expectations. Nationwide Auto Transportation has been recognized for our excellent dedication to our customers. When you use our San Francisco to New York auto shipping services, you can expect nothing but the best and to always be treated with exceptional customer service. Check out our video below to learn more about what we do. Ship Your Car or Truck from San Francisco to New York Today! When you are looking to transport your vehicle from San Francisco to New York, you want to go with someone who knows the ins and outs of auto shipping business. We are the people who know how to handle everything just right so when you’re in a rush, you know who to turn to: Nationwide Auto Transportation. 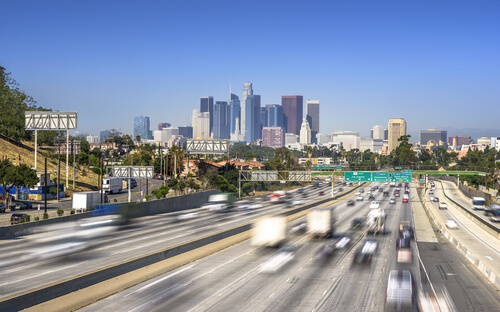 We know that auto transportation can be a stressful and tiring task, but sometimes it needs to be done and we specialize in transporting motorcycles, cars, SUV’s, trucks and vans from San Francisco to New York. Why Choose Our San Francisco to New York Car Shipping Company? Auto transport companies are numerous and highly competitive. Selecting the best car transporter to ship your car from San Francisco to New York can be a difficult decision. That is why our goal is to make your choice to use our vehicle transport services an easy decision. We strive to be the best auto transport company in the business serving our clients with an elite group of car transporters, within the lower 48 states. At Nationwide Auto Transportation, our mission is to provide you with vehicle transport services at reasonable prices.